You may think it’s early to start thinking about the holidays, but when it comes to imported wine bottle boxes, it’s important to stay ahead of the game. These items sell out faster than anything else we carry – and for good reason, too. These Italian imported wine gift boxes are often used for packaging corporate gifts for the holidays, retirement, or business milestones. Other businesses, such as wineries, breweries, and boutique markets use these for specialty packaging and gift-giving. Plenty of businesses give gifts to employees and clients to show their appreciation, especially during the holiday season. 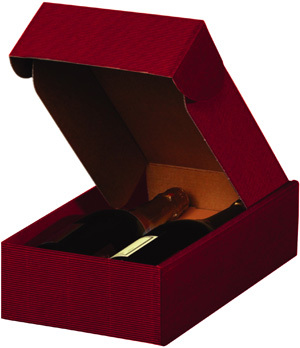 The imported wine bottle carriers and wine gift boxes add a classy touch. 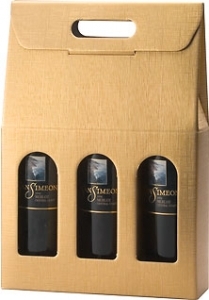 The carriers come in one, two, and three bottle options, which allow you to decide the appropriate size of your gift. It’s not easy trying to compete in the market today. Step up your visual appeal by packaging your goods in one of these boxes. With a wide array of colors, sizes, styles, and even textured finishes, an imported gift box is sure to get noticed. And it’s a great way to represent your brand. It can be used for wine, of course, but you can also package gifts, sample kits, and even clothing. Of course, we didn’t forget about the companies that make all those bottle spirits! These are a must-have for wineries and breweries. Add a level of professionalism to your presentation and watch your sales improve. Take it to the next level by adding your logo to the box. Remember, these and other imported items items can be printed to feature your logo on them. Learn more about that by calling one of our packaging experts at 888-321-2248 Monday through Friday, from 8:30 a.m. – 6 p.m.